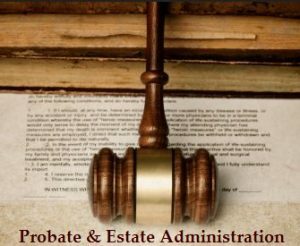 Probate or estate administration is a court-managed process where the assets of the deceased are managed and distributed. When a person dies with a Will or Estate, the court will make its decisions regarding the distribution of assets according to the Will. On the other hand, if a person dies without a Will, or Intestate, the court and the state will make the decisions on the behalf of the deceased. It is recommended to hire a Long Island estate administration lawyer who is experienced and knowledgeable in both state law and how the local probate court works. The Law Offices of Michael W. Alpert can provide you with professional and dedicated legal presentation in estate planning, probate, and other areas of estate administration. Contact us today at 516-280-7288. Typically, if there’s a valid Will, the probate process in New York will likely proceed smoothly. The Will contains the name of the individual who is assigned as the executor of the estate. The executor will assert that the Will is genuine and valid. If someone contests that the will is not valid, he or she must file a claim or objections to the court within a specified period of time. A hearing might be required to settle the matter and should be mandated by statute. The appointed executor will have the authority to handle the deceased person’s bank and other financial accounts. The Surrogate Court usually issues a Letter of Testamentary or a Letter of Administration to the executor. The executor is authorized to sell real estate properties given to an heir to pay estate debts, taxes, claims and other expenses at any time but may not begin the final distribution of sale proceeds after a specified waiting time. Unless specified otherwise in the will, the proceeds may be distributed in cash. When someone passed away without a Will, the heirs will not necessarily avoid probate. The Surrogate’s Court would have to handle your estate. The court will assign an administrator. The role of the administrator includes the collection of information about the deceased individual’s assets, debts, payment of bills, and other estate administration responsibilities. Without a will to state who will be the beneficiaries, the estate administrator will have to follow New York State’s laws of intestacy. The assets will be distributed according to the state law wherein it spells out who gets what. In most situations, the spouse and children will be prioritized. When disputes arise during the probate process, it is important to seek the assistance of an experienced estate litigation attorney in New York. Properties own as joint tenants with right of survivorship. The property will be automatically passed on to the co-owner of the property by law upon your death. Retirement accounts, IRAs and life insurance proceeds where there are designated beneficiaries. Investment and bank accounts where you have a choice to select pay on death (POD) to beneficiaries. Personal property. Small properties owned not stated in the Will but have little value. Filing a petition to the proper probate court – Nassau County or Suffolk County Surrogate Court. Notice to heirs (if there’s a Will) or to statutory heirs (if there’s no Will). Petition to appoint an Administrator or Executor for the estate. Inventory and appraisal of properties by the Executor/Administrator. Sale of estate assets and payment of estate debts. If applicable, payment of estate taxes. Final distribution of assets to beneficiaries or heirs. The surviving spouse will be the first in line to inherit all the assets of an estate if there are no children. If there children, the spouse will receive $50,000, plus ½ of the remaining estate and the remaining balance will be equally distributed to children. If there is no surviving spouse, then the assets will be distributed to the children equally. If there is neither a surviving spouse nor children, then the assets will be distributed to the parents equally. If there are no surviving parents, then to siblings, including half-siblings. If there are no siblings or half-siblings, then to the grandparents. If there are no surviving grandparents, then to the aunts and uncles. If there are no aunts and uncles, to the grandchildren of the deceased person’s grandparents. Lastly, if there are no great grandchildren of the deceased individual’s grandparents, assets will be passed on to the state of New York. The Law Offices of Michael W. Alpert offers free initial consultations to help you understand the probate process in Long Island, NY. We represent administrators and beneficiaries in Nassau County and Suffolk County. Call us today at 516-280-7288 for a free consultation.